In foreground from left, Rose Hathaway and Beth Slovinski from Omaha join hands with CMA members in bike blessing. CMA members Greg Casey and Patty Martin in background. 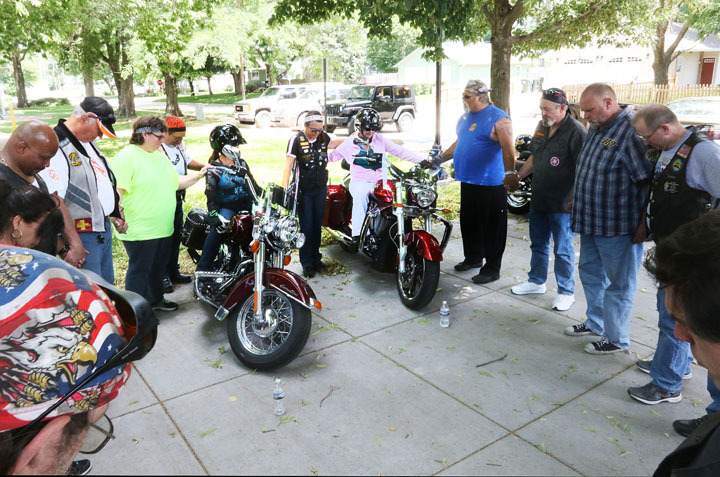 The Blair chapter of the Christian Motorcyclists Association hosted a bike blessing and get-together at Lions Park on Saturday, June 27. This is the first such event for the the Blair group. The association takes part in church visits and Christian outreach activities. 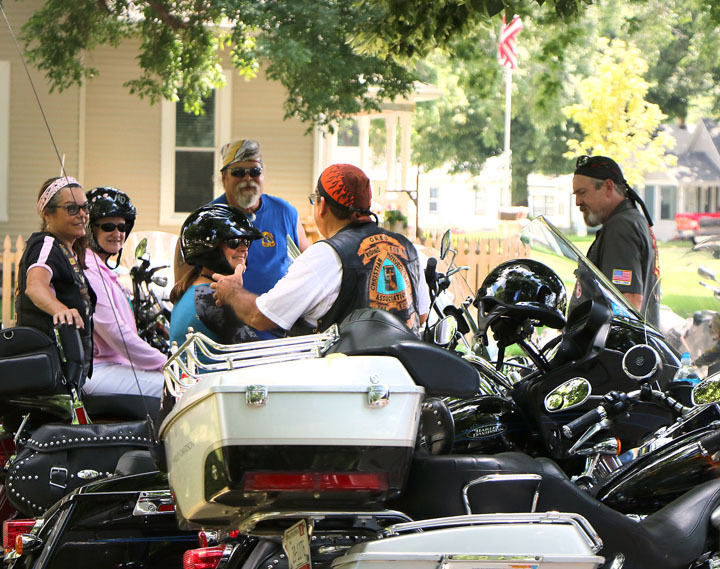 At the end of July, the chapter will set up a Sturgis aid station at the Interstate 29 Missouri Valley exit to provide support and refreshment for bikers traveling to Sturgis, S.D. 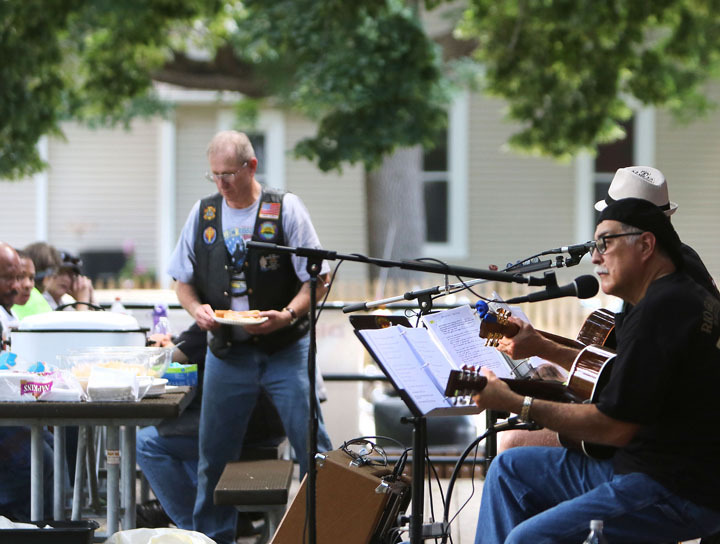 Chapter president Greg Pennington prepares a hot dog while Chico Garcia with Kurt Gibson entertain CMA members and guests at Saturday Biker Blessing at Lions park. In foreground from left, Rose Hathaway and Beth Slovinski from Omaha join hands with CMA members in bike blessing. CMA members Greg Casey and Patty Martin background . CMS members Kendra Stubblefield and Doug Dudley present Wayne Howell III and father Wayne Howell JR. with tokens of Christian faith. 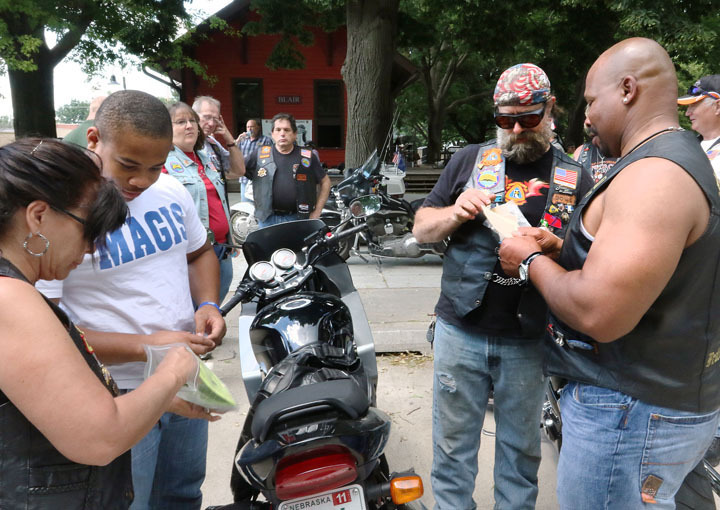 CMA members socialize at Bike Blessing.